When friend of mine went to Harvard for a while I flew to Boston a lot to hang out with her, and our ritual was having breakfast at a yoga school café. 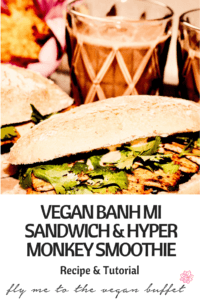 We basically worked our way through their whole menu, and everything we tried was great, but there was this one combination that turned out to be my favourite: it was the Vietnamese Banh Mi Sandwich and the Hyper Monkey Smoothie. So I tried it at home and I’m very happy with the result. 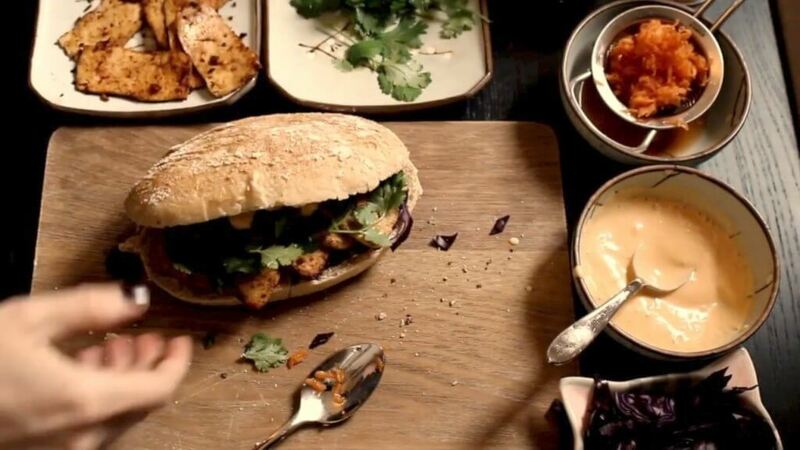 I recommend using a tofu press* for this dish, it not only creates a much firmer texture, it also makes the tofu absorb the spices better. 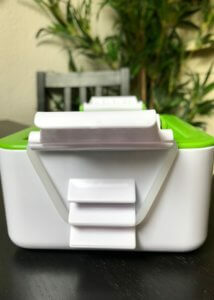 Whenever I cook something with tofu, I put the tofu into the tofu press about two hours before -it’s super easy, just put it in, close the lid and fasten the rubber bands. 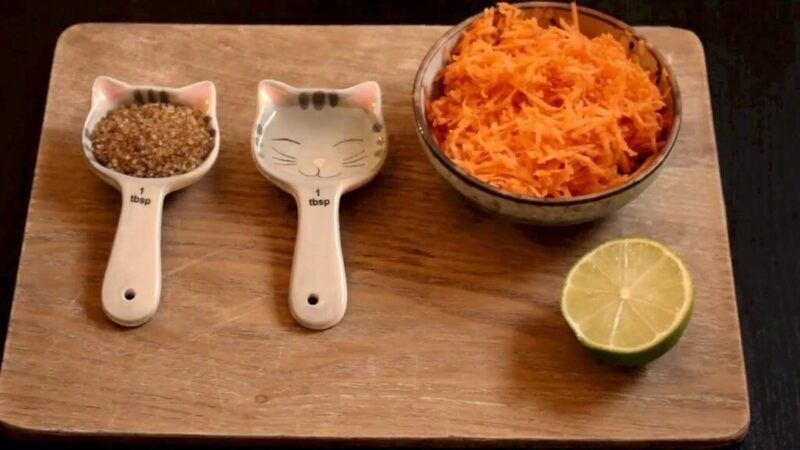 Combine carrot, lime juice, brown sugar and rice vinegar, then put aside. 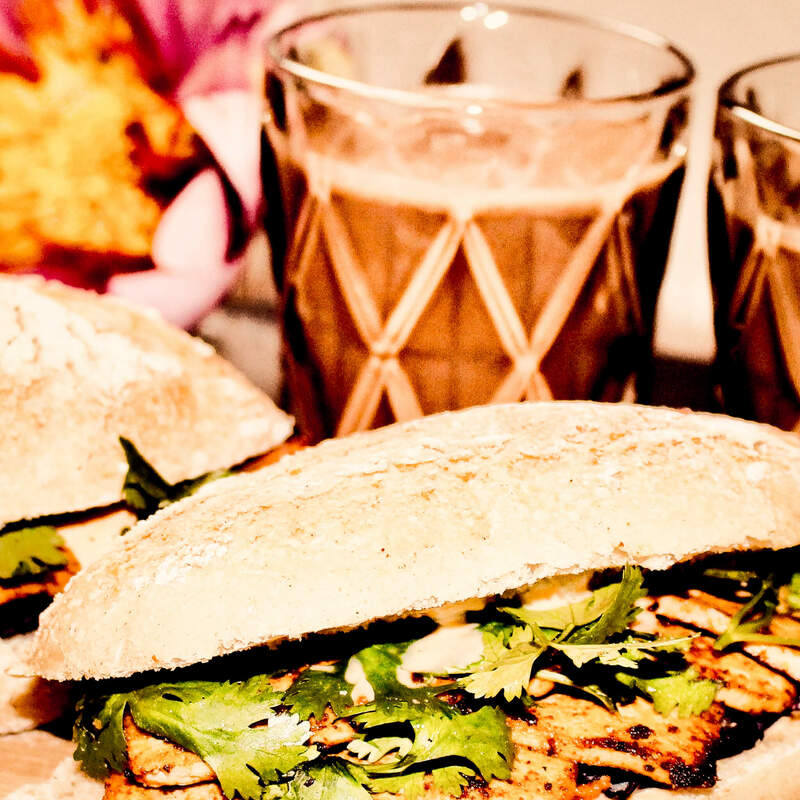 Mix plant milk, oil, mustard and sriracha sauce in a blender. Combine garlic powder, onion powder, paprika powder, soy sauce, maple sirup and rice vinegar. 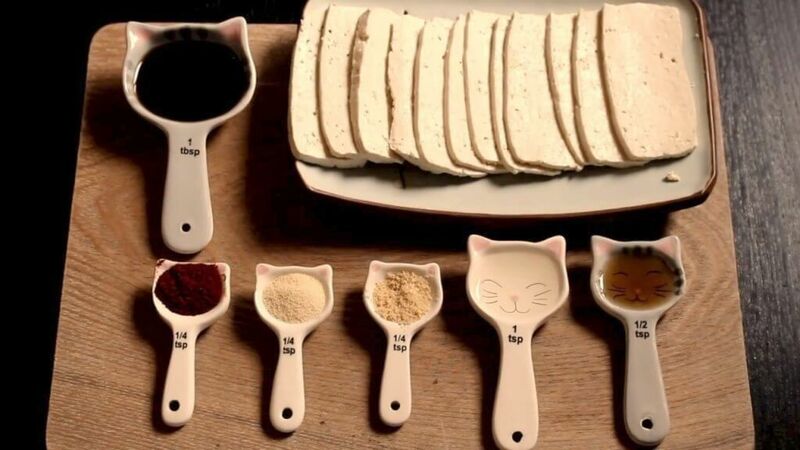 Cut tofu into thin slices and roast in a little oil, applying the marinade. After 2-3 minutes, turn and apply marinade on other side. Cut the baguettes in halves and apply sandwich sauce. Layer in drained carrot mix, red cabbage, tofu slices and cilantro, then salt and pepper to taste. 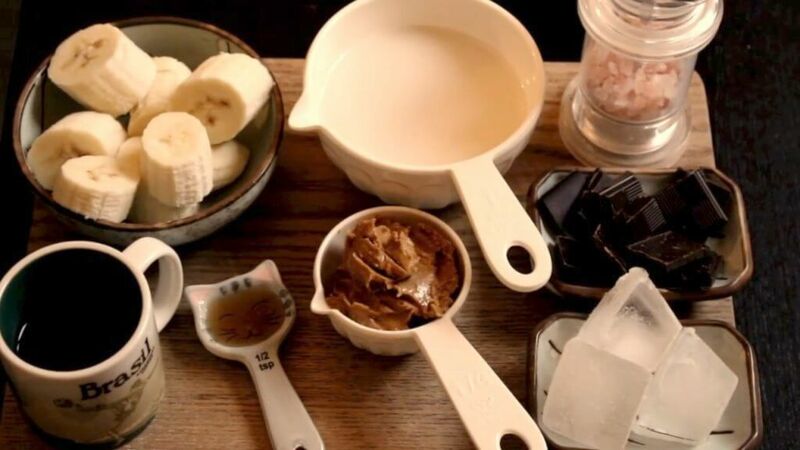 Melt the dark chocolate in espresso and mix all the smoothie ingredients in a blender*. 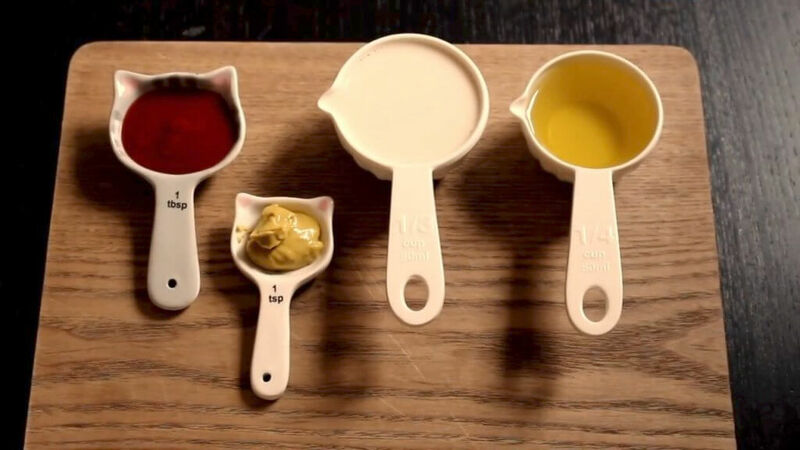 Mix plant milk, oil, mustard and sriracha sauce. Combine garlic powder, onion powder, paprika powder, soy sauce, maple sirup and rice vinegar. 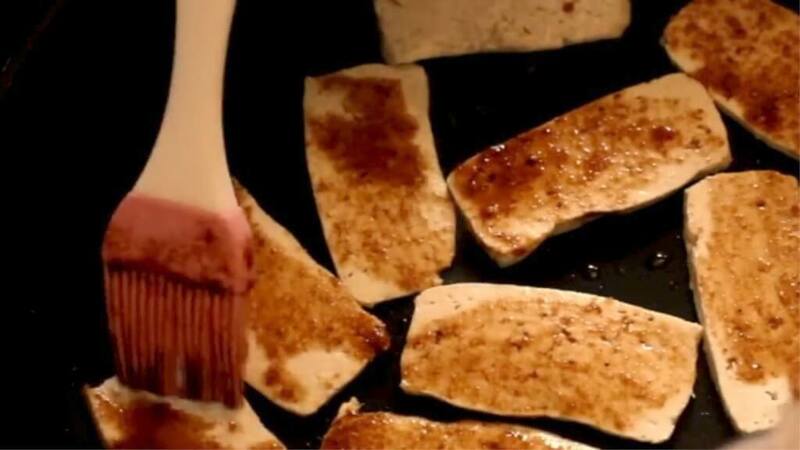 Cut tofu into thin slices and fry in a little oil, applying the marinade. After 2-3 minutes, turn and apply marinade on other side. Cut the baguettes in halves and apply sandwich sauce. Layer in drained carrot, red cabbage, tofu slices and cilantro, then salt and pepper to taste. 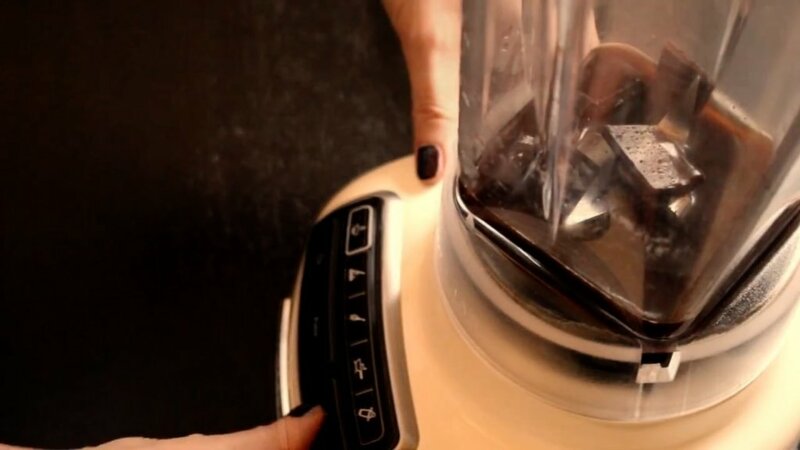 Melt the chocolate in espresso and mix all the smoothie ingredients in a blender.